We have all, at some point in our lives been attracted towards the mountains. While some drive off to the nearest hill station for a cosy stay, others opt for the strenuous alternative – a trek. Though both the experiences are quite different, they bring one closer to nature. While hill stations are pretty safe due to infrastructure availability and habitation, the same cannot be held true for trekking as it explores the not-so-domesticated side of the mountains! 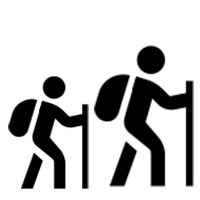 Trekkers are therefore advised to follow these trekking safety tips to help them enhance their trekking experience. Trekking isn’t something that can be taken casually. One needs to do some homework before sauntering off in the wild. 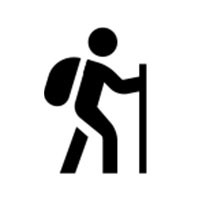 Start by collecting information about the trekking spot. Read up; make yourself familiar with basic information such the terrain, difficulty level and possible environmental hazards. Read about the experiences of trekkers who have been there and done that! 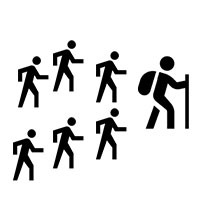 Go through the various trekking health guides available on and off the internet. This will prep you up for your own trek. Trekking without company is not recommended. It is very easy to get lost on a forested hill because everything appears almost the same! The chances of accidents too are very high and hence one must always travel with a group of at least 4-5 people and an experienced guide like Small Steps Adventures. Plan your trek well. Trace the route that you will be following, interact with the group leader in advance about the route in case you are travelling with a trekking group and share the itinerary with your family members or friends. This will be helpful in case of any emergencies while trekking. Though the network on mountains can be patchy, do carry your mobile phone and keep it with you at all times – you never know when and how it could come in handy! Another important aspect is preparing yourself before embarking on a trek. 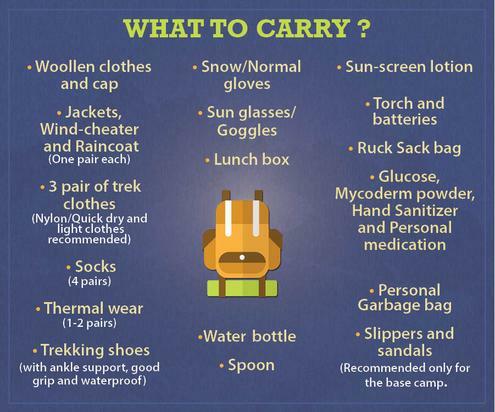 These include a list of things to be carried during trekking. A sturdy backpack and a good pair of shoes are going to be your best friends while you sweat it out on that gradient. Avoid wearing sandals or flip-flops on a trek as they do not have a good grip and may also cause joint pain later. Carry plenty of food and at least 3 litres of drinking water along with Electral powder to make up for the salts that you lose while perspiring. A first aid kit consisting of Band-Aids, antiseptic cream, cotton and tape along with tablets for minor ailments like a headache, vomiting and fever is a basic necessity. The instruction can’t get any simpler than this! The whole point of travelling with an experienced guide is to stay on the route and do as advised. 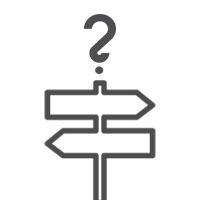 People at times tend to become explorers instead of adventurers and end up creating problems for themselves and the rest of the group. Trekking is one experience where the fun element goes up with that every extra rule you decide to follow! This is what you will be wondering about if you don’t follow the previous tip. Getting lost in an unfamiliar place is a common hazard both for the inexperienced trekker and the team leader. Sadly, it happens when people lack awareness while trekking. Humorous as it may sound but bio-break is the biggest reason why people get lost! Since most people are new to each other in trekking groups, they tend to move deeper and deeper into the bushes to relieve themselves and lose the sense of direction quite easily as everything around them looks just the same! 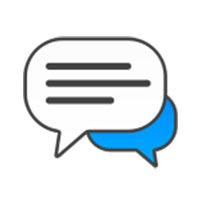 Inform the team leader before you take a break, they know the spots in a trail where people are likely to blunder. Okay, we all know this rule but we never follow it. Agreed that mountains are one the most picturesque locations offering a view to kill and they do kill (literally) because we are too callous regarding our own safety. Click pictures after ensuring that you are not in danger. Do not tip-toe at the edge of a cliff just because you want a particular element in the picture. 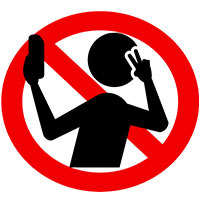 Remember, there won’t be any display pictures to upload on social media websites if you stop existing!